What: The Heber Valley will host the United States Dressage Federation’s Region 5 Dressage Championship Friday, Oct. 5, through Sunday, Oct. 7, at the Wasatch Event Center in Heber. The competitive equestrian sport, which will be coming to the state of Utah for the first time, will draw participants from seven states and will feature the best trainers and horses in the region. Dressage is an Olympic equestrian sport. National-level dressage competition is governed by the United States Equestrian Federation (USEF) and has several levels of national tests: Training and First through Fourth Level. Horse and rider combinations will also be competing in what is known as the FEI or International level tests. The Heber Valley event will feature the best horse dancers in the sport, including local professionals Margo Gogan, Cassie Benson and North American Young Rider Champion Maddie Birch. Margo Gogan was Ann Romney’s coach when she was living here while Mitt was working at the Olympics. Ann credits learning to ride dressage with helping her combat the effects of Multiple Sclerosis. Ann is still a close personal friend of Margo’s and is providing huge support in bringing this event to Utah for the first time. 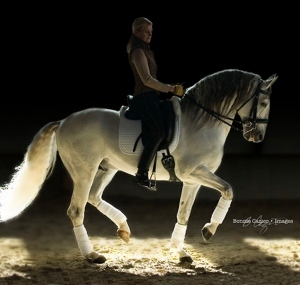 Ann loves the beauty of dressage and the many benefits it brings to the horse and rider. Admission is free and the general public is invited to attend. To learn more, visit http://thecollectivesblog.com.